At the moment I'm re-reading Democracy and Education, something probably worth doing every few years. I came across the following passage, regarding the aesthetic-educative influence of one's environment. good taste and aesthetic appreciation. If the eye is constantly greeted by harmonious objects, having elegance of form and color, a standard of taste naturally grows up. The effect of a tawdry, unarranged, and overdecorated environment works for the deterioration of taste, just as meager and barren surroundings starve out the desire for beauty. Against such odds, conscious teaching can hardly do more than convey second-hand information as to what others think. Such taste never becomes spontaneous and personally engrained, but remains a labored reminder of what those think to whom one has been taught to look up. This just speaks of one's surroundings; it doesn't get into curricular issues like how much art and music students can or do get. I don't need to say much about the different visual experiences one gets from a poor, run-down school versus a well-financed, well-kept-up one. There's even a vast difference at the college level, between the campuses of Princeton and Stanford, on the one hand, and some urban community colleges, on the other. Addressing the issue of aesthetic inequality may just give conservatives another excuse to see educators as unacceptably effete liberals. Yet if the capacity to appreciate and create beauty is one of the fundamental human capacities--as I'm sure that it is--then aesthetic inequality involves a pretty basic violation of human rights. Thus, it's something we should address. Today's Wall Street Journal published an op-ed entitled "Obama and Ayers Pushed Radicalism on Schools" by Stanley Kurtz, a fellow at the Ethics and Public Policy Center. The EPPC says on their website that they are reinfocing "the bond between the Judeo-Christian moral tradition and the public debate over domestic and foreign policy issues." And he's got a bone to pick with Barak Obama's education record. On August 19, The National Review published another one of his pieces on this topic, "Chicago Annenberg Challenge Shutdown?" The basic claim in these articles is that (1) Obama is a "radical" because he's tied to Bill Ayers, and (2) his campaign is covering this up. "The CAC's agenda flowed from Mr. Ayer's educational philosophy, which called for infusing students and their parents with a radical political commitment, and which downplayed achievement tests in favor of activism. In the mid-1960s, Mr. Ayers taught at a radical alternative school, and served as a community organizer in Cleveland's ghetto. In works like City Kids, City Teachers" and "Teaching the Personal and the Political," Mr. Ayers wrote that teachers should be community organizers dedicated to provoking resistance to American racism and oppression. His preferred alternative? 'I'm a radical, Leftist, small 'c" communist,' Mr. Ayers said in an interview...about the same time Mr. Ayers was forming the CAC." If Kurtz and the far Right can cast Obama as a radical with clear connections to Ayers, they believe that they can "prove" to America that he's a small-c communist and "radical" who stirs up trouble and is un-American. Schools working with communities, educators fighting racism -- this is radicalism? As far as Obama's campaign downplaying the links between Ayers and Obama, this is perhaps an unfortunate but necessary spin, given what a contentious figure Ayers is for the Right, and how far they'll go to run his name and his work through the mud. It’s back to school time in Portugal where I’m spending the semester at the Universidade de ‘Evora as a Fulbright scholar. I just arrived a week ago, but have learned enough about the national system to learn that individual teachers are not hired by local district administrators; instead, the (central) Ministry of Education places teachers throughout the country. Until this year, teachers were given a one-year placement, subject to change every year. Starting this year, teachers are guaranteed to remain in the same place for four years. I’ve been pondering the implications of both the one year and four year policies. Let me acknowledge right off the bat that I don’t know the history of these policies, and would welcome clarification from those who know more. I am told that Portugal has more than enough teachers. I am also told that people in Portugal don’t like to move (unless they emigrate to another country). It’s a lot like Pittsburgh, PA (or at least how Pittsburgh used to be); when you grow up, you move in down the street from your mom! You don’t leave the old neighborhood – or region. I can only guess that these policies are intended to give the Ministry the flexibility to place teachers in all the regions of the country, no matter what their place of origin or preference. I doubt that teachers are moved willy-nilly each year, and I assume that Ministry officials have good reasons for doing what they do. Still, it’s seems that school directors (principals) – and students – can’t count on working with the same teachers year after year. Because I side with educational scholars and practitioners who view relation as central to pedagogical possibility, I am perplexed by any policy that impedes continuity of relation between teacher and student. Continuity (suggests Nel Noddings among others) is one of two elements in the development of positive pedagogical relationships (the other is engagement). If some critical mass of teachers does not remain in the same school for any predictable period of time, the possibilities for relation and community, i.e. for caring, diminish. It takes time and attention to construct and nurture generative relations. Policies that move teachers around for the sake of bureaucratic convenience seem to be counter-productive to creating the relationships that can foster learning. And what of the teachers? Educational research over the past decade in particular has made it clear that good teaching is context dependent. That is, how “good” a teacher you will be depends on where you are and what and whom you are teaching. If I am moved from pastoral Evora to urban Lisbon to the sunny Algarve, will I be supported as I spend the time and effort to come to understand the ways that life in that place pushes and pulls each student? Again, I assume that those in the Ministry who make the placements try to be respectful of teachers’ background and talents. And a change of location can be a very good thing for a teacher, heightening one’s sense of self and the rhythm of a teaching life. But to be reassigned regularly seems to be an assault on a teacher’s professionalism as well as a drain of energy that could be devoted to the practice of teaching. I am a guest in Portugal where I have found only hospitality and welcome. I confess readily that I don’t know enough about the system to make any judgment. I write not to criticize a particular system but to raise questions about the relations between teachers and students, and about relations between teachers and the administrative structure that determines their professional positions. I first read Richard Hofstadter’s Anti-Intellectualism in American Life a few years ago. 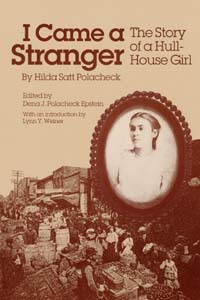 My initial interest in the book stemmed from the fact that Hofstadter had accused Dewey of having unwittingly promulgated anti-intellectual trends in education. However, Hofstadter’s book has been on my mind lately because there is an epidemic of anti-intellectual discourse in the current American and Canadian election campaigns. "Another persistent avenue of attack upon Jefferson was the charge that as a man given to abstract speculation he was automatically disqualified from holding the office of President. This was a shrewd strike, for the average American was (and is) profoundly suspicious of formal learning in politics, particularly when it is of a theoretical or speculative nature." More than 200 years later, we are apparently in the “information age” and are participants in the “knowledge economy.” Yet despite this seeming valorization of knowledge, the anti-intellectual card is still just as powerful as ever, and politicians do not hesitate to play it. Dion has an unusual propensity to combine politics and pets. He named a turtle after the communist revolutionary Leon Trotsky. After the Liberals lost the 2006 election he bought a dog that he named after the environmental treaty, Kyoto, that he promised to implement as Environment Minister but failed to deliver on. He even once taught a parrot to say “ideology”. Mr. Dion graduated from Université Laval with a B.A. in 1977 and an M.A. in 1979, both in political science. In 1986 he received his doctorate in sociology from the Institut d'études politiques in Paris. Dion is especially proud of his educational background. He claimed in July 2008 that, if elected Prime Minister, he would be the first Prime Minister to hold a Ph.D. In fact Canada’s longest serving Prime Minister, William Lyon Mackenzie King, had a doctorate from Harvard University. Professor Dion lectured at the Université de Moncton in 1984. He left Moncton after a few months, complaining that it lacked a certain je ne sais quoi, and went to the Université de Montréal where he taught from 1984 to 1996. 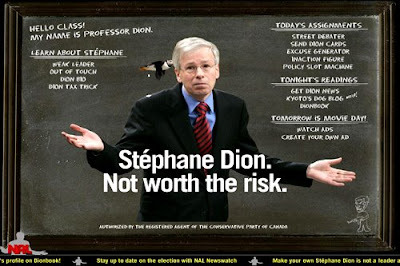 The various conclusions which we are meant to draw from this “bio” are (a) that Dion has dangerous radical tendencies, (b) that he is eccentric, (c) that he is unduly proud of his educational background, (d) that despite his intellectual pretensions, he is ignorant of Canadian history, and (e) that he is a snobby intellectual who would never be content with a small town like Moncton. As an academic, I have to admit that these anti-intellectual attacks infuriate me. As an educator, however, I try to think somewhat more constructively; I wonder whether there is anything we can do to lessen the effectiveness of anti-intellectualism. In School and Society, Dewey spoke of knowledge becoming liquid, and he suggested that “a distinctively learned class is henceforth out of the question.” Needless to say, the continued potency of the anti-intellectual strategy indicates that this prophecy has not been entirely fulfilled. Perhaps this points to a need on the part of educators to redouble our efforts to demystify and to circulate our work. At any rate, I would certainly be interested to hear others’ thoughts about anti-intellectualism and what we can do about it. One of the better public press pieces I have read exploring the experiences that have shaped Barack Obama’s policy inclinations in regards to public education was published in the September 9th New York Times by Sam Dillon. It presents a portrait of Obama as deeply involved in Chicago public education reform, as a sincere inquirer into the complex problems of public education, and as committed to working out the problems of urban education, including the underachievement of children living in poverty. All of these characteristics should endear him to pragmatists who adhere to Dewey’s legacy of strengthening the relationship between education and democracy. What is missing from Obama’s campaign rhetoric and what I would hope for from the office of the President, should he get elected, is that he use his bully pulpit to outline for the public the profoundly interrelated nature of school achievement, environmental safety, job security, public health, and other social concerns. I would like to see if a President could shift the discourse around school improvement to incorporate, in a way that is understandable to the general public, the brilliant analyses made by our colleagues such as David Berliner, Jonathon Kozol, and Jean Anyon, who have drawn this picture thoroughly and well for education scholars, but whose message has not quite made its way into the everyday understandings of people. There are also some items on Obama’s education agenda that he might not have thought through as thoroughly as he needs to, items which, if taken as a whole present some serious contradictions. The position on merit pay, for example, is fraught with complications. He clearly understands the need for the very best teachers to be in high needs schools. However, if teachers are going to be financially rewarded on the basis of their students’ achievement, then there are few incentives to work in these high needs schools, where student achievement can be an elusive goal, especially in light of the holistic, interrelated nature of school achievement and the other social issues mentioned above. How are we to decide how to vote? Should we study the policy positions of the candidates, determine to the best of our abilities which set of policies will have the best consequences for human well-being on the whole, and then vote for candidates supporting those policies? Or, is it even possible to base our votes on rational consideration of consequences? And will we inevitably base our political decisions on our social identities? And how have issues of social identity played a role in the primary battles between Hillary Clinton and Barack Obama, or between John McCain, Mitt Romney, and Mike Huckabee? 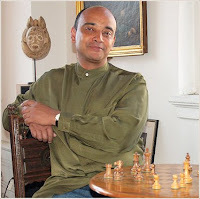 These issues are discussed in a fascinating 48 minute interview with Anthony Kwame Appiah, a Princeton philosopher and author of The Ethics of Identity and Cosmopolitanism: Ethics in a World of Strangers, who for the last 15 years has been among America's most interesting commentators on social and cultural issues. Expect to hear no mention of NCLB at the Republican convention. Education Week reports that the GOP is split between support for federal accountibility measures and rejection of a strong federal role in education, a more traditional Republican party position. John McCain is not taking sides in this split. “The biggest challenge within the Republican Party is really how much of a role should Washington continue to play,” said Eugene W. Hickok, who served as deputy secretary in the U.S. Department of Education earlier in President Bush’s tenure. Hickock, who was a tough policeman for NCLB, and who antagonized state officials trying to modify the strictures to fit their realities, said that "NCLB is a damaged brand." The GOP has endorsed an education platform with many of the K-12 proposals of Sen. John McCain, Education Week reports today. It calls for merit pay for teachers, for recruiting the best educators "without regard to collective bargaining agreements," for expanding charter schools and private school vouchers that can be used at religious schools. McCain didn't mention NCLB in recent speeches and the GOP platform is just as vague; it doesn't mention the measure by name. But it calls for strong accountability measures. The platform also supports "English First" instruction as opposed to bilingual education, and the right of students to engage in voluntary prayer in schools. The document also calls for replacing "family planning" programs for teenagers with increased funding for abstinence education. Interviewed at the GOP convention on Monday September 1, Secretary of Education Margaret Spellings says that she is happy that NCLB was not re-authorized this year, according to EdWeek. "Where we were headed would have been a bad reauthorization." Her comments referred to the bill drafted by Rep. George Miller, D-Calif., the chairman of the House Education and Labor Committee, that would have permitted some states to use local assessments in their accountability systems, among other changes. She said that advocates of strong accountability would now have additional time to pass a new bill supporting the law's central principle of accountability. While noting that education has taken a back seat in the presidential campaign, she sees that as a positive development, on the principle that "no news is good news". She said that Sen. John McCain would make a better education president, but also had kind words for Sen. Obama. "I think it was bold for him to speak out on merit pay. Let's see it happen."